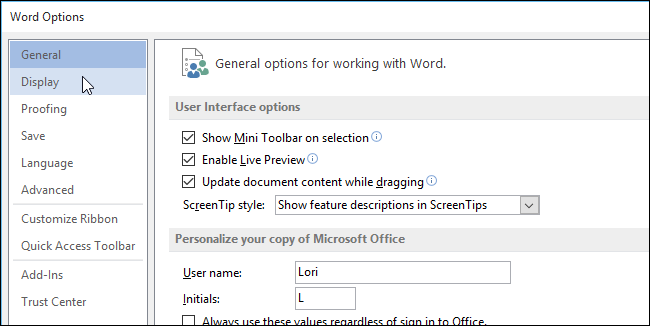 Word makes it easy to format text as hidden so it can’t be viewed or printed. What if you want some text hidden on the screen, but you want to be able to print the hidden text? No worries, easily done. NOTE: To hide text formatted as hidden so it’s not visible on the screen, make sure the “Home” tab is active and click the “Show/Hide” button in the “Paragraph” section. Printing hidden text is as easy as turning on an option. To begin, click the “File” tab. 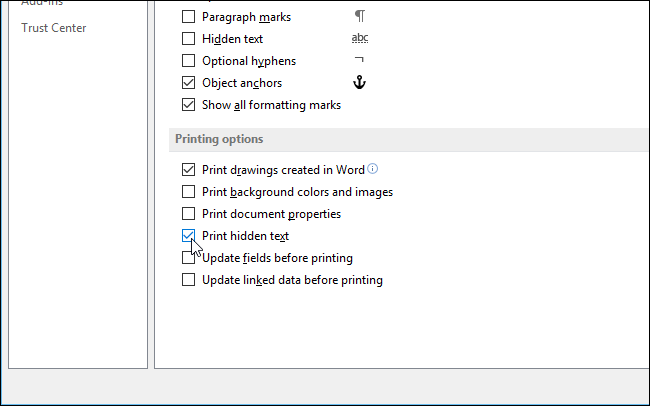 In the “Printing options” section, select the “Print hidden text” check box so there is a check mark in the box. 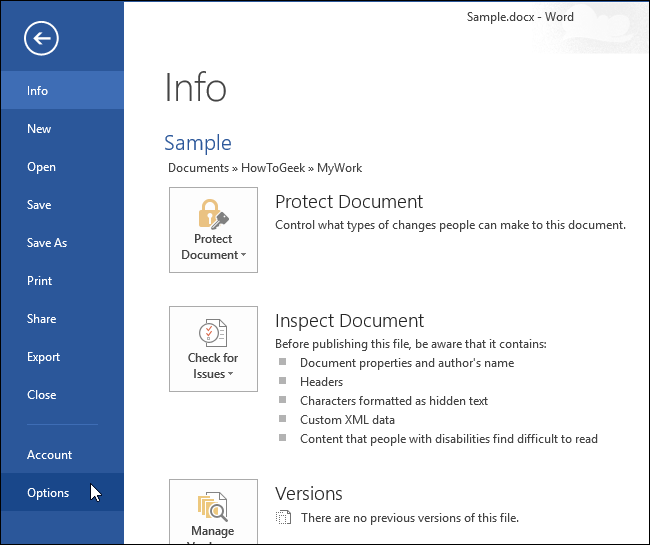 You can also quickly remove all hidden text from a Word document if you don’t want anyone else who has access to the document to see it.